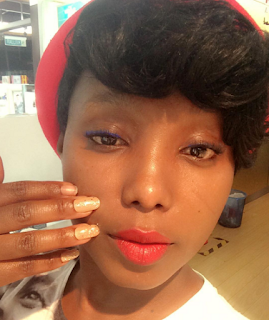 Former Citizen TV's actress Catherine Kamau popularly known as Celina seems to have started living like a socialite. After hitting the gym and making her body desirable, she has now got confidence in the way she looks. The curvaceous actress has been flaunting her humongous rings all over the social media and her recent photos have become team mafisi's talk.